Over the past two years, I’ve been getting this question more and more often. Couples are looking to instant film to add a little fun to wedding festivities and give guests a keepsake to take home. Polaroid and instant snapshots just offer something that digital pictures can’t compete with when documenting a life changing event like a wedding. 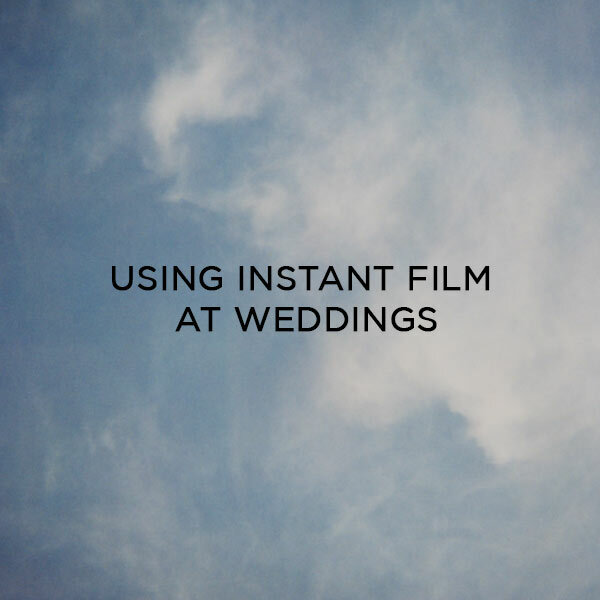 I’ve seen instant film used in other types of event as well, with people taking and sharing instant film photos in parties, baby showers, and more. That said, what’s the best camera and film for an event like a wedding? One of the most important considerations is understanding that your guests are not experts in vintage photography, and need something intuitive and foolproof. Luckily, most Polaroid cameras are super simple and easy to use. Everybody knows how to pick up a camera, point it at somebody, and press the shutter. I recommend getting a hardy, easy-to-use 600 type camera such as the Polaroid OneStep Closeup for this reason. However, there is one important consideration. Polaroid no longer manufactures film, so you’ll have to fill the Polaroid camera with Impossible Project film. While wonderful for creative uses, Impossible Project film is also expensive, a bit complex to use and often unreliable. While Impossible Project film has come a long way, it’s still susceptible to heat, humidity, light, and manufacturing defects. Often many of their films require some exposure compensation to work correctly, and there’s a high chance that some of the photos won’t come out correctly. In addition, Impossible Project films may deteriorate over time, slowly turning blue or displaying damage from humidity. 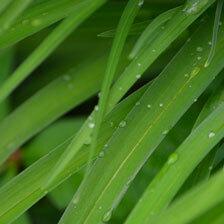 Like I said, IP film is improving, but there is still a chance that the photo won’t be around 3 years from now. Because of this, I usually recommend using Fuji Instax cameras and films for weddings and events. Fuji’s instant film is much cheaper, mostly foolproof, and the pictures will last decades. In addition, the picture quality is fantastic. The larger format Fuji Instax 210 is a pain to use, but the smaller Fuji Instax formats work very well. Polaroid even currently sells re-branded cameras that use Fuji Instax mini film. The photos are small (wallet-sized) rather than the traditional Polaroid square, but people will still get a kick of them. Ultimately it comes down to who’s doing the shooting. If you have a photographer or an educated guest running around taking instant photos and handing them to guests, a Polaroid camera filled with Impossible Project film may work very well. If guests are the ones who will be using the cameras, Fuji Instax Mini is often the easiest and best option. Good luck on your special day!